When is a traffic jam not a traffic jam? 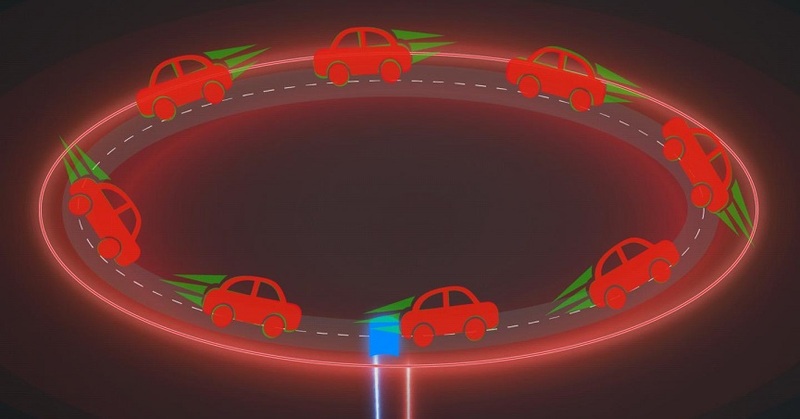 When it's a quantum traffic jam, of course. Only in quantum physics can traffic be standing still and moving at the same time. A new theoretical paper from scientists at the National Institute of Standards and Technology (NIST) and the University of Maryland suggests that intentionally creating just such a traffic jam out of a ring of several thousand ultracold atoms could enable precise measurements of motion. If implemented with the right experimental setup, the atoms could provide a measurement of gravity, possibly even at distances as short as 10 micrometers—about a tenth of a human hair's width.